U.S. Cyber Command has undergone a series of rapid changes in only a few short weeks. Since the beginning of May, the command has been elevated to a full unified combatant command, received a new leader in Gen. Paul Nakasone, reached a critical staffing milestone for its cyber mission force known as full operational capability and unveiled a new cyber nerve center called the Integrated Cyber Center/Joint Operations Center that will coordinate global cyber operations. At the same time, leadership is turning over at each of the service cyber components. 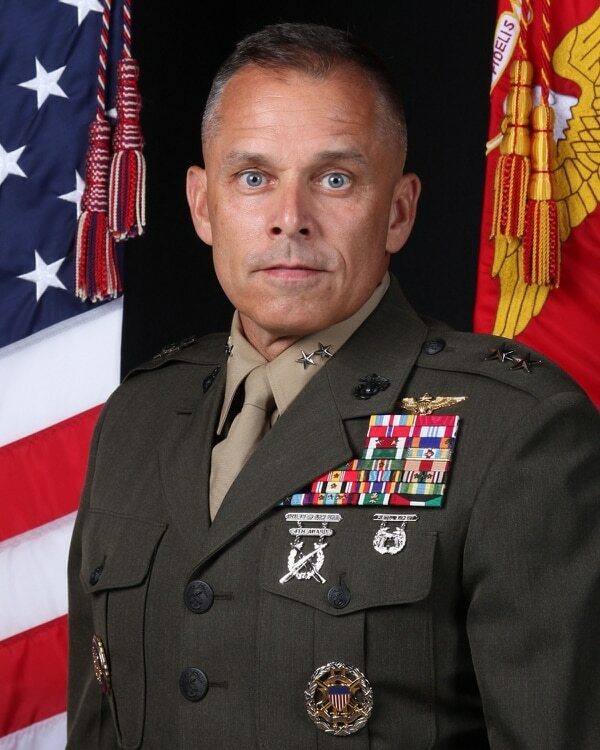 Maj. Gen. Matthew Glavy, is the incoming commander of MARFORCYBER. (Courtesy U.S. Marine Corps). Fifth Domain learned June 26 that Glavy is taking over for Maj. Gen. Lori Reynolds, who has been nominated for a third star and to serve as the recently established deputy commandant for information. Previously, Glavy served as Deputy Director of Current Operations at Cyber Command and mostly recently served as the commander of the 2d Marine Aircraft Wing. He will assume command during a ceremony on July 2. 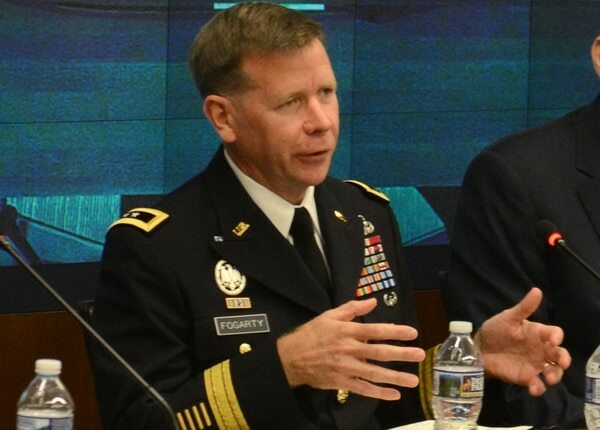 Fogarty officially assumed the role of commander of Army Cyber Command during a June 1 ceremony over which Army Chief of Staff Gen. Mark Milley presided. Fogarty takes over for Gen. Paul Nakasone, who is now commander of U.S. Cyber Command and director of NSA. Before heading ARCYBER, Fogarty was mostly recently chief of staff at Cyber Command serving as the commander of the Army’s schoolhouse, the Cyber Center of Excellence, prior to that. In his new role, Fogarty will also take the reins as the commander of Joint Task Force-Ares, the cyber offensive against the Islamic State group. White, whose posting was announced in February, assumed command of Fleet Cyber on June 18. 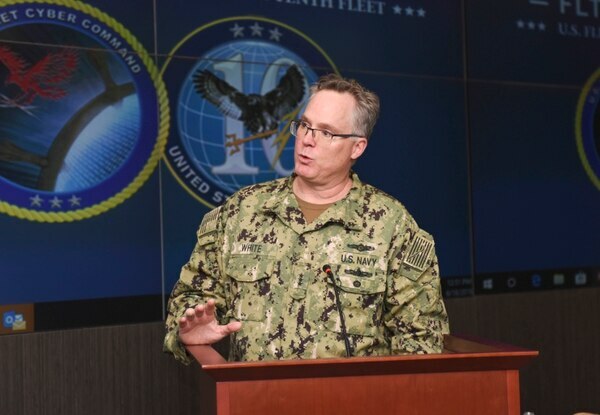 White was most recently the commander of the Cyber National Mission Force, one of three headquarters elements of U.S. Cyber Command responsible for defending the nation against cyberattacks of significant consequence. White also served as the master of ceremonies for the Cyber Command change of command ceremony held in the new Integrated Cyber Center/Joint Operations Center May 4. White takes over for Vice Adm. Michael Gilday, who is going on to be the director of operations on the Joint Staff. Skinner, who will assume his role this summer, will take over 24th Air Force in a transitionary period for Air Force cyber as the service recently announced 24th will be realigned from Air Force Space Command to Air Combat Command. This decision has been at least a year in the making, with officials noting that the move better aligns the service’s cyber capabilities beneath the global intelligence, surveillance and reconnaissance steward, effectively fusing the two. However, an ACC spokesman told Fifth Domain via email, that the long-rumored merging of 24th Air Force, the sole cyberspace operations component for the service, and 25th Air Force, which provides the cyber ISR personnel resulting in a breakdown of personnel roughly 60/40 from 24th and 25th, will be dependent on an assessment. After the transfer, ACC will conduct a mission analysis to determine how 24th will be integrated in ACC, they said. 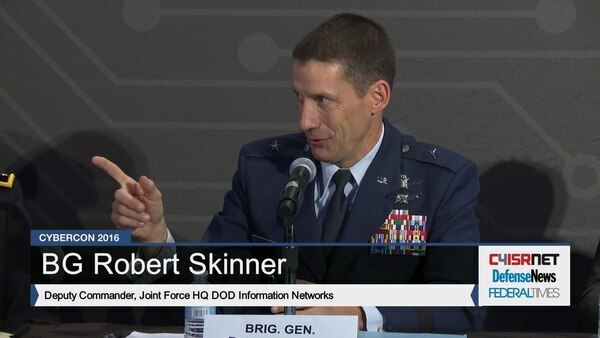 Skinner, currently the deputy commander at Air Force Space Command, previously served as the deputy commander of U.S. Cyber Command’s global defensive arm, Joint Force Headquarters-Department of Defense Information Networks. Skinner takes over for Maj. Gen. Christopher Weggeman, who will move on to Air Combat Command to be the special assistant to the commander.